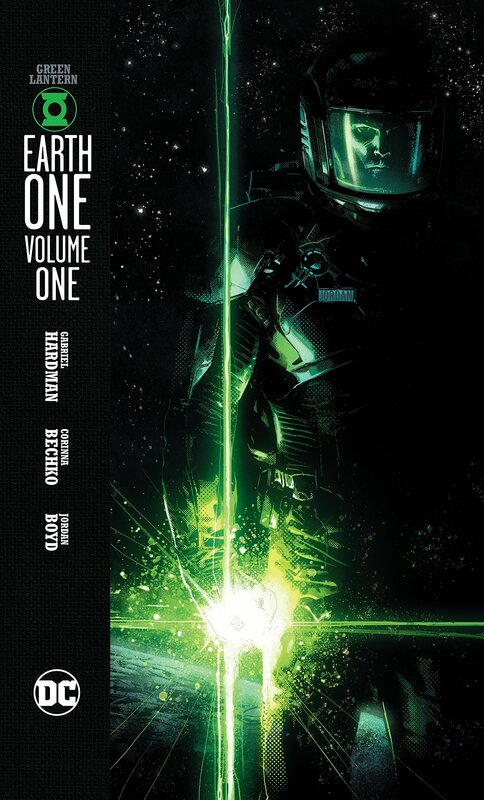 Created by: Gabriel Hardman (Author and Illustrator) and‎ Corinna Bechko (Author). Synopsis: Once upon a time, being an astronaut meant that your life was going to be full of fun, adventure, and thrilling discoveries. Not now though. No. Unfortunately not. Just ask Hal Jordan, the top astronaut working at Ferris Galactic, because his life was pretty dull and dismal until he came across a glowing green ring situated within an asteroid orbiting the Earth. 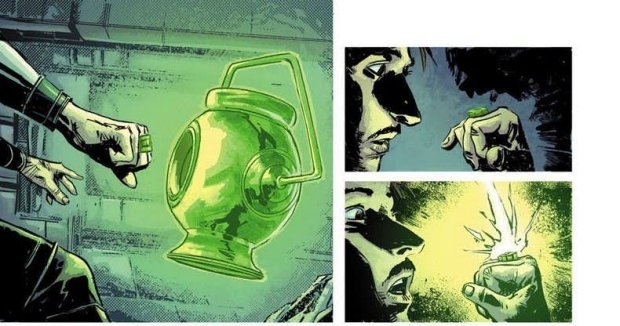 But this ring isn't just any ordinary glowing green ring; because this ring is powerful, very powerful, and it takes him on a quest where he meets a ruthless killing machine known as a Manhunter, who was a part of an evil force that decimated the protectors of the galaxy: the Green Lantern Corps. Whatever next? Pick up this book to find out. Here are five reasons why you should pick up this book. 1) C’or Rina, Are You Looking For A Hard Man: For the past eight years Corinna Bechko and Gabriel Hardman have both been working together on a number of different projects, most of them based in the arena of science-fiction. This includes the critically acclaimed series, ‘Invisible Republic’, published by Image Comics, as well as two very popular movie tie-ins: ‘Star Wars’ and ‘Planet of the Apes’. 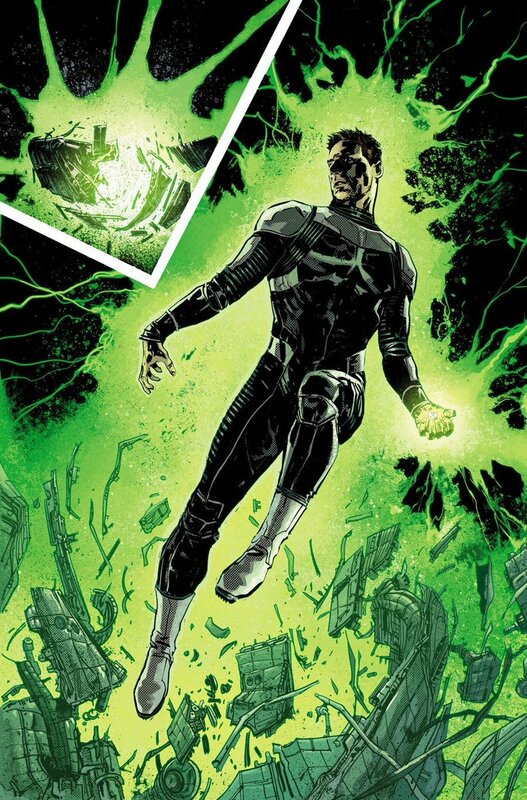 So with that said, don’t you think that it’s a great idea they’re both taking a stab at Hal Jordan? Not physically, mind you. Or else they might get themselves dirty, and we wouldn’t want that. But in practical terms I’m sure they’re more than up for the task, keeping in mind that Corinna and Gabriel have a wealth of knowledge when it comes down to presenting and explaining science fiction based principles and ideas. 2) What Was Once Old Is Now New Again: During the 1960s, DC Comics decided to reimagine some of their characters from the Golden Age of heroes, characters such as The Atom (Al Pratt), Hawkman (Carter Hall), The Flash (Jay Garrick), and of course, Green Lantern (Alan Scott). In doing so, however, they chose to reinterpret them by replacing their mystical abilities with another attribute, science-fiction. So if you think about it, what Gabriel and Corinna are doing with this book runs along very similar lines. They’re updating origins, they’re refreshing attitudes, and they’re stripping back a concept that’s been worn down and convoluted over time, thus making it fresh, dynamic, and ready to rock and roll! 3) Mooning At The Movies: To tie the previous two points nicely together I’d like to present you with a simple slice of trivia. Did you know that the original cast of Green Lantern were each based on popular Hollywood actors? According to Gil Kane, who was the regular series artist, Hal Jordan was based on Paul Newman (The Color of Money), Carol Ferris was based on Elizabeth Taylor (Cleopatra), and Sinestro was based on David Niven (The Pink Panther). 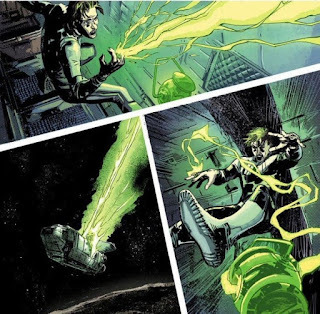 Now the main reason why I bring this point up is because Gabriel Hardman also has a movie connection too! Not only did he write and direct the 2004 short film, ‘Wrong Way Up’, but he’s also a big fan of the 1979 Ridley Scott sci-fi classic, ‘Alien’, which is another comic book movie tie-in he’s working on. 5) Playing It Real: Hal Jordan is normally portrayed as a fearless test pilot who’s as cocky as a rooster in a henhouse. Not anymore, though, because in this version he’s a logical scientist that explores the depths of space as a no-nonsense astronaut. So, gone are the days where he whips out a giant green boxing glove and smashes it down on a fish-shaped-alien’s head, and here to stay is a more realistic and scientific take on his powers and personality. Which has to be a good thing, right? After all, if something seems real then there’s a good chance we’ll be able to connect with it on a truthful and personal level. I know that sci-fi is usually based in the realm of fantasy and adventure, but that doesn’t mean it can’t be logical, technological, and personal to connect with.